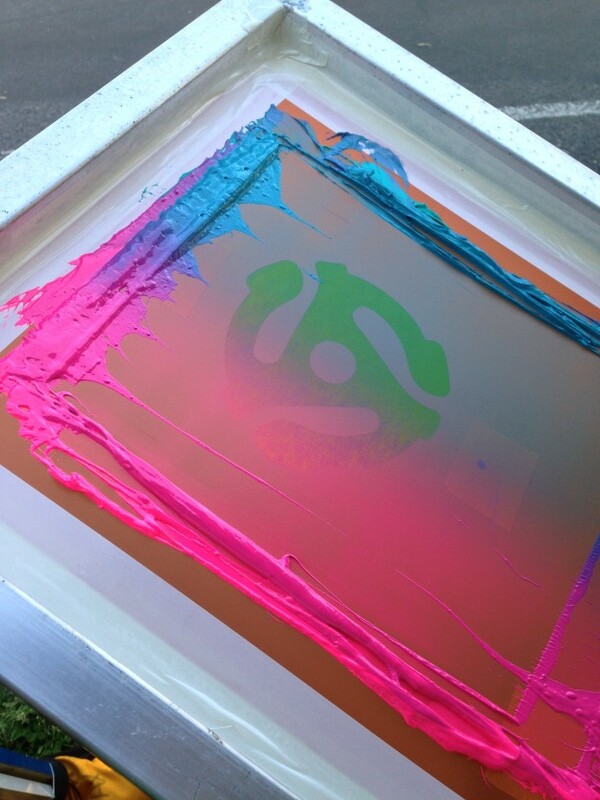 Posted in Institutions, Charities & Education, Live Screen Printing by Kyle Ellis. 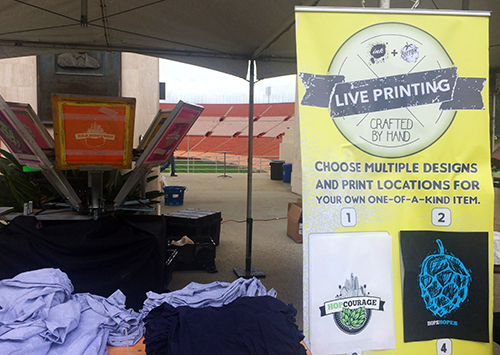 The folks over at HopCourage asked us to live screen print t-shirts at their annual craft beer festival in Los Angeles. Hops & Hopes Craft Beer Day benefits and gives aid to the autism community, and we loved being a part of this fun event! Now that our episode has aired, we can tell you about our appearance on David Tutera’s CELEBrations on WEtv! David invited us to live screen print t-shirts for Holly Robinson Peete’s Family Fundraiser for Autism. You can see our handiwork in Season 1, Episode 13! Posted in Consumer & Retail, Custom Lettering, Institutions, Charities & Education, Live Screen Printing by Kyle Ellis. 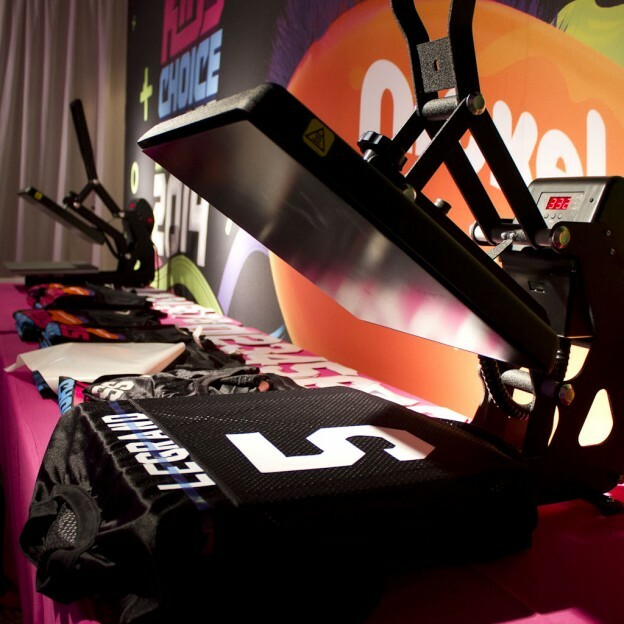 Our agency partner asked us to activate our custom print stations at the 2014 Nickelodeon Kids Choice Awards to provide kids and parents alike custom football jerseys. We did. Parents loved it. Kids loved it. Client loved it. Posted in Institutions, Charities & Education by Kyle Ellis. 2 presses, 8 designs, hundreds of Shirts, Tote bags, Hoodies, and more all as part of a fun day with Colfax Charter School.